Baby is the size of: a Cantaloupe! He's around 12 inches long and weighing well over a pound. We've also reached the point referred to in the medical field as the "week of viability." Meaning, if Tucker were to be born now he would have a fighting chance of survival outside of the womb. We, of course, don't want him making his appearance anytime soon! 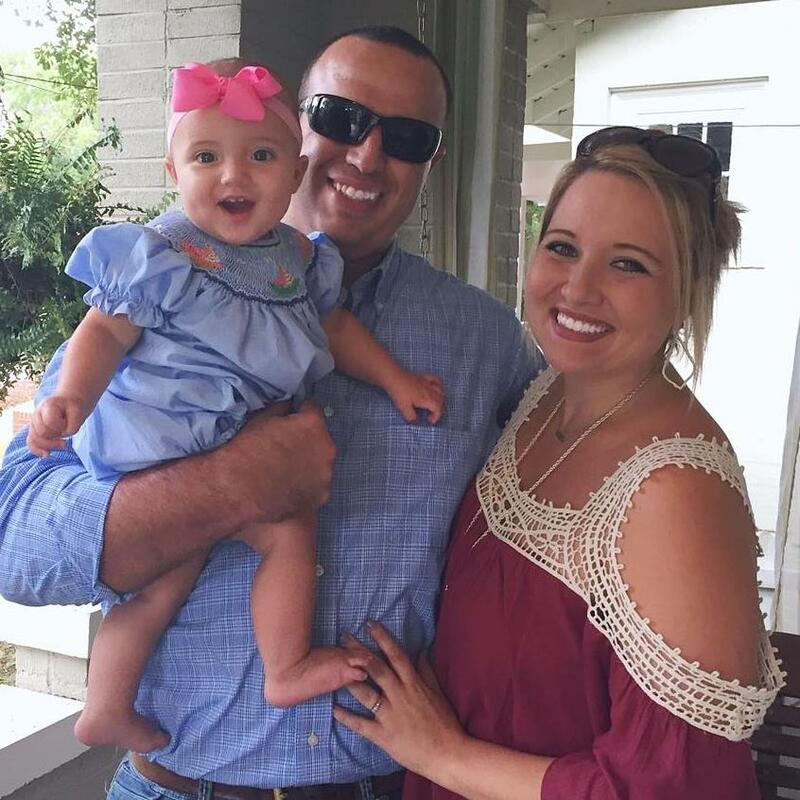 Symptoms: Heartburn and aches and pains associated with carrying a LOW baby. Movement: So much movement!! I'm still amazed at how different this little boy is than his sister was when she was in my belly. It was during this point in my pregnancy with Charlie Beth that I had my first "scare" after not feeling her move all day. It would be the first of many scares she would give me due to lack of movement and the reason I had to have weekly NSTs done in my third trimester. This baby boy is constantly kicking and jabbing me, and I'm so thankful for all those movements and the reassurance they give me that everything is ok in there. Cravings/Aversions: Salads and Halloween candy. No real aversions though. Sleep: No complaints here other than adjusting our bodies to daylight savings time. Charlie Beth has been waking up an hour earlier in the mornings since the time change, but she seems to be slowly making her way back to her normal wake up time. 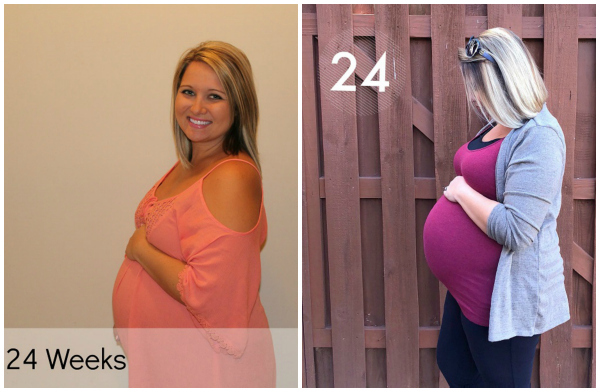 Maternity Clothes: Have you seen this belly?! I'm living in maternity leggings and shirts that cover the bump these days. I'm hoping I can make it through winter wearing all my cute boots before any major swelling starts to take place. Nursery: WE HAVE PROGRESS! Last night, actually, Steven and I got a wild hair and decided to start painting it after putting Charlie Beth to bed. We got one coat up on the walls and will add another coat tonight. 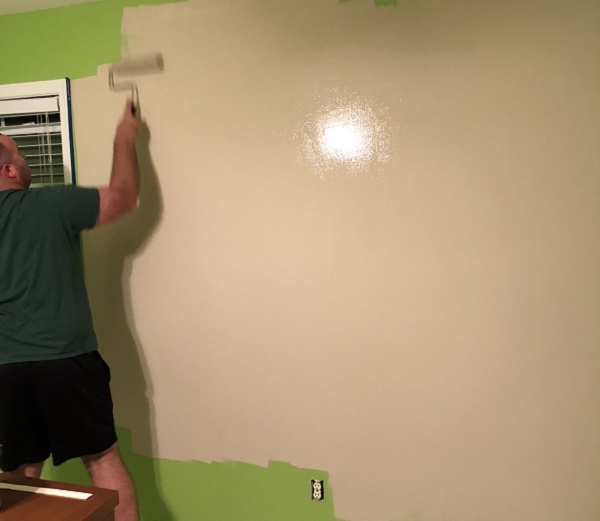 We are covering some terribly bright lime green walls, so it may even take three coats before it's all said and done. Best moment this week: Celebrating my baby girl turning TWO years old last weekend. How is that even possible?! I feel like I was just writing these bumpdates with her in my belly. She's growing into a sassy and independent toddler, and I am loving every second of being her mom.